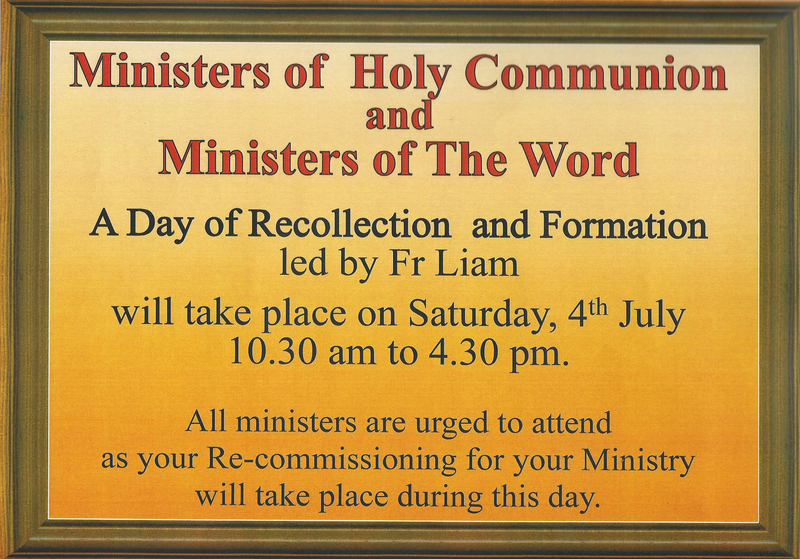 Please do come along to the resources room at St David and St Patrick’s if you’re involved in the ministerial aspect of our parish liturgy. There will be lots of tea and coffee, but do bring a little lunch for the middle of the day. There will be talks, some tips and advice, and time for Qs and As, some light-hearted fun and the service of recommissioning. I hope to see you all there. This entry was posted in Uncategorized on June 27, 2015 by stdavidandstpatrick.